The Emirates Group announced its half-year results for 2018-19 on Thursday, November 15th, which saw profits fall by 86%. Whilst the group saw reasonably steady revenue growth during the first half of this financial year, the firm cites a significant rise in oil prices, unfavourable currency movements and devaluation in certain markets along with other challenges of political and economic nature as reasons for its dip in fortunes. 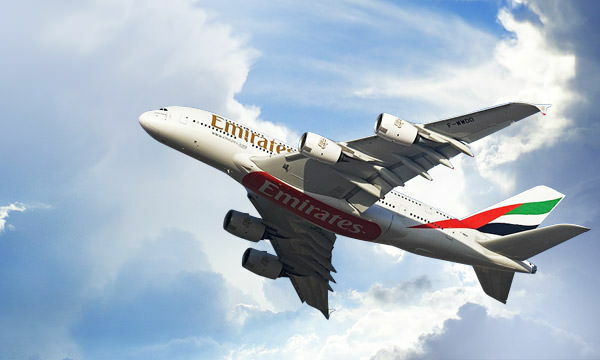 Emirates, one of the worlds largest airlines carried 30.1 million passengers, up 3% and made AED226 million ($62 million) during the six months to September 30th, yet while revenues were up by 10% on last years half-year results to AED 54.4 billion (US$ 14.8 billion) a massive 37% increase in fuel prices combined with the other difficult trading circumstances ate into that profit. His Highness (HH) Sheikh Ahmed bin Saeed Al Maktoum, Chairman and Chief Executive, Emirates Airline and Group said: “Emirates and dnata grew steadily in the first half of 2018-19. Demand for our high quality products and services remained healthy, as we won new and return customers across our businesses and this is reflected in our revenue performance. However, the high fuel cost as well as currency devaluations in markets like India, Brazil, Angola and Iran, wiped approximately AED 4.6 billion from our profits. “The next six months will be tough, but the Emirates Group’s foundations remain strong. I’m pleased to note that our home and hub in Dubai continues to attract travel demand, as the airline saw 9% more customers enjoying Dubai as a destination in the first half of 2018-19 compared to the same period last year. We expect this demand to remain healthy as new attractions come online and the city gears up for Dubai Expo 2020. Moving forward we are firmly focussed on sustaining our business. We will do this by being agile to capitalise on opportunities, and investing to serve our customers even better with high quality products that they value.” Said Ahmed bin Saeed Al Maktoum, Chairman and Chief Executive, Emirates Airline and Group. In the past six months, the Group’s employee base reduced by 1% compared to 31 March 2018, from an overall average staff count of 103,363 to 101,983. This was largely a result of natural attrition, together with a slower pace of recruitment as the business continues its various internal programmes to improve efficiency through the implementation of new technology and workflows. During the first six months of 2018-19, Emirates received 8 wide-body aircraft – 3 Airbus A380s, and 5 Boeing 777s, with 5 more new aircraft scheduled to be delivered before the end of the financial year. It also retired 7 older aircraft from its fleet with further 4 to be returned by 31 March 2019. The airline’s long-standing strategy to invest in the most advanced wide-body aircraft enables it to improve overall efficiency and provide better customer experiences. Emirates continues to offer ever better connections for its customers across the globe with just one stop in Dubai. In the first six months of its financial year, Emirates launched new passenger services to Stansted (UK) and Santiago (Chile). It also introduced a new linked service from Dubai via Bali to Auckland. 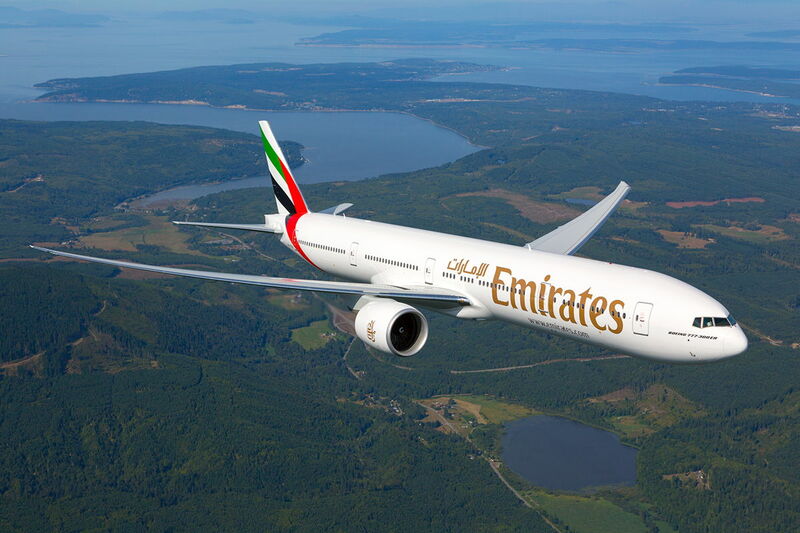 As of 30 September, Emirates’ global network spanned 161 destinations in 85 countries. Its fleet stood at 269 aircraft including freighters. 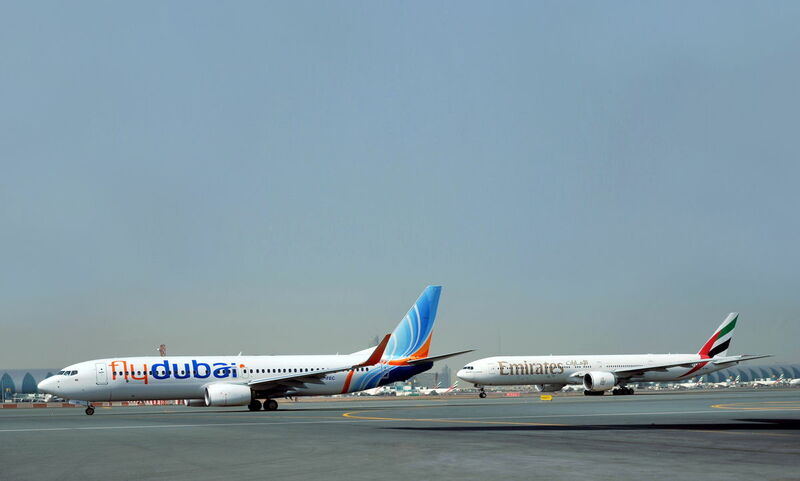 Emirates further developed its partnership with flydubai, offering customers even more benefits as both airlines combined their loyalty programme under Emirates Skywards. Customers also enjoy new flight choices as Emirates and flydubai continued to leverage their complementary networks to optimise flight schedules and offer new city-pair connections through Dubai, as well as open new routes including Kinshasa (Congo), Krakow (Poland), and Catania (Italy) in the first half of 2018-19. Overall capacity during the first six months of the year increased a modest 3% to 31.8 billion Available Tonne Kilometres (ATKM). Capacity measured in Available Seat Kilometres (ASKM), grew by 4%, whilst passenger traffic carried measured in Revenue Passenger Kilometres (RPKM) was up 6% with average Passenger Seat Factor rising to 78.8%, compared with last year’s 77.2%. Emirates carried 30.1 million passengers between 1 April and 30 September 2018, up 3% from the same period last year. The volume of cargo uplifted at 1.3 million tonnes is largely unchanged while yield improved by a healthy 11 %. This performance is the result of Emirates SkyCargo’s focused investments in products and services tailored to key sectors, which gives it a strong competitive edge in a recovering global air freight market. In the first half of the 2018-19 financial year, Emirates net profit is AED 226 million (US$ 62 million), down 86%, compared to last year. Emirates revenue, including other operating income, of AED 48.9 billion (US$ 13.3 billion) was up 10% compared with the AED 44.5 billion (US$ 12.1 billion) recorded during the same period last year. This result was driven by increased agility in capacity deployment, and improved seat load factors despite fare increases reflect the healthy customer demand for Emirates’ products. Emirates operating costs grew by 13% against the overall capacity increase of 3%. On average, fuel costs were 42% higher compared to the same period last year, this was largely due to an increase in oil prices (up 37% compared to same period last year), as well as an increase in fuel uplift of 4% due to Emirates’ expanding fleet operations. Fuel remained the largest component of the airline’s cost, accounting for 33% of operating costs compared with 26% in the first six months of last year. dnata saw steady growth across its global businesses which now span over 35 countries. In the first half of 2018-19, dnata’s international operations accounted for over 68% of its revenue. dnata’s revenue, including other operating income, is AED 7.0 billion (US$ 1.9 billion), an 11% increase compared to AED 6.3 billion (US$ 1.7 billion) last year. This performance was underpinned by robust organic business growth, particularly in its international airport operations business. Overall profit for dnata is up by 31% to AED 861 million (US$ 235 million). This includes gains from a one-time transaction where dnata divested its 22% stake in the travel management company Hogg Robinson Group (HRG), during HRG’s acquisition by Amex Travel Business Group. Without this one-time transaction, dnata profits will be down 18% compared to the same period last year. dnata’s airport operations remain the largest contributor to revenue with AED 3.6 billion (US$ 976 million), a 6% increase compared to the same period last year. Across its operations, the number of aircraft handled by dnata increased by 6% to 350,052, and it handled 1.5 million tonnes of cargo, up 2%. This reflects new customer contracts won across the network and strong business performance in key markets including USA, UK, UAE, Australia, and Italy. In the first six months of 2018-19, dnata strengthened its Italian operations by increasing its share in Airport Handling SPA, a Milan-based ground handler, from 30% to 70%. It also launched passenger handling operations at New York-JFK. In the UAE, dnata acquired a majority stake in DUBZ, a baggage storage and delivery service company which expands its service offering to travellers. dnata's travel division contributed AED 1.7 billion (US$ 456 million) to revenue, up 9% from the same period last year. The division’s underlying net sales increased by 6% to AED 5.9 billion (US$ 1.6 billion). This performance was driven by strong results from the travel division’s UAE operations, revenue contributions from Destination Asia which dnata acquired in September 2017, and healthy business in UK which was also boosted by a stronger Pound Sterling against the US dollar. At the end of September, dnata entered the German market with its acquisition of Tropo, a tour operator specialising in travel packages, last minute holidays and hotel reservations. dnata’s flight catering operation, contributed AED 1.1 billion (US$ 311 million) to its total revenue, up 4%. The number of meals uplifted increased by 2% to 31.0 million meals for the first half of the financial year. Downward pressure on yields, particularly in its Australian operations, was offset by a healthy performance from its Alpha Group operations as well as higher meal volumes through increased business in the UK, Romania, Czech Republic and Sharjah (UAE).